In any business, interchange of communication related to the various aspects of the project is at the heart of a successful collaboration. As a project proceeds, communication between the project participants is done on various technical, commercial and other project management related aspects. Project Correspondence Management Suite helps you manage and track both the incoming and outgoing communications along with the previous references. B. Management of Post Correspondence Release and its Response Related Activities. 1. Compliance with Project Protocol - Each Project has a Project Protocol - with which we have to always enforce compliance. When you have a correspondence module - these protocols are already pre-configured for users by the administrator and hence, there is an absolute compliance with the project protocols specified. 2. Delegation of Authority - Even though in most project protocols would specify that all correspondences are to be done in the name of Project Director, the reality is that Project Director will NOT have time to himself write all correspondences. Most of these correspondences will be done by the people, whom the project director gets included into the project protocols or sometimes even by the people who are authorized by him to write in his name directly to the other party. The correspondence module enables this delegation of authority possible with all checks and balances to ensure that work of Project Director is reduced, however the contractual aspects are taken care off. 3. Internal fact-finding Discussions / Correspondence Review Workflows - Usually the project correspondences will be initiated by the people who are incharge of their work - who look into the need for having a project correspondence (a deviation, a violation or a need for clarification) and then prepare a draft. The Draft is usually shared in a team who reviews the same from the various perspectives including language and legal implications / contractual implications. The correspondence, once reviewed by the concerned people is then forwarded to the people who has release the same to the other party. A similar type of exercise happens when a correspondence is received from the other party – where the facts as detailed by the vendor are ascertained, validated, response formulated and sent as correspondence. The complete internal delegation of authority, fact-finding discussions with automated creation of correspondences complying with the contractual and legal requirements can be managed by tBits CollabWrite Correspondence Module. Correspondence Release and its Response Related Activities. A unique correspondence number – This is automatically generated and can be configured by the administrator as per project requirements. Protocol Information – To whom the correspondence will go to in the other organisation with a minimum copy to whom. The full names of the people along with the postal addresses is what is usually given in the letter. References – The references to the earlier correspondences done on the same matter are generated automatically and enclosed. These references are also hyperlinked to the correspondences as well. In addition to the system generated reference lists – the user can additional provide references manually. Digital Signatures – To ascertain the identity of the person, digital signatures are used to sign all digitally generated correspondences to ensure that they have legal validity. Information about enclosures. – the complete list of attachments that are enclosed with the correspondence are also specified in the correspondence letter automatically. Previews – As the users are normally interested in seeing as to what the final page layout of the correspondences that they are generating looks like, there are preview options available that gives the complete output including the tentative correspondence number to show how the expected final output to the user. A sample of the correspondence letter can be found here. All the above things are done automatically with no user intervention and are completely automated. 2. 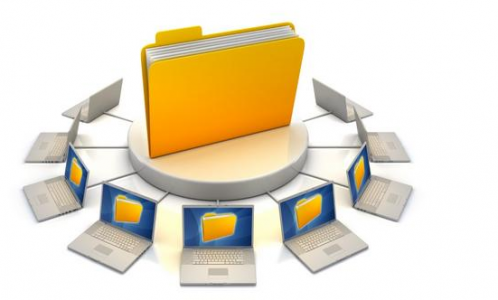 Centralized Secure Web-based Repository for all Correspondences – As the correspondences are generated electronically in an automated manner from the centralized web-based system, these are available in the central repository using the role based access controls. No manual filing etc is required. 3. Managing incoming correspondences – Most of the correspondences are dispatched via email as enclosures. When a correspondence is generated, the email notification for the correspondences has enclosure of correspondence as well as other attachments. If the receiving agency replies to the emails received by them- their response is directly captured by the system into the repository without any human intervention. Additionally – these responses are also referenced in the reference correspondences section of the correspondence generated by the tBits CollabWrite – Correspondence Management Module. 4. Managing Correspondence Registers and associated Reports – As the entire data that is coming in and going out of the organization is recorded into the system, the system is able to generate all the reports as incoming correspondence registers, outgoing correspondence registers, overdue correspondences etc. Improved Accuracy and Compliance – with project standards related to protocols, numbering etc. Delegation of Authority – with controls, workflows as per organizational requirements. Improved Productivity – with automation and removal of manual filing of correspondences. Reduced Risk – as all critical project data is available in secure centralized searchable repository. Convenience – as correspondences can be replied via emails including mobile devices.